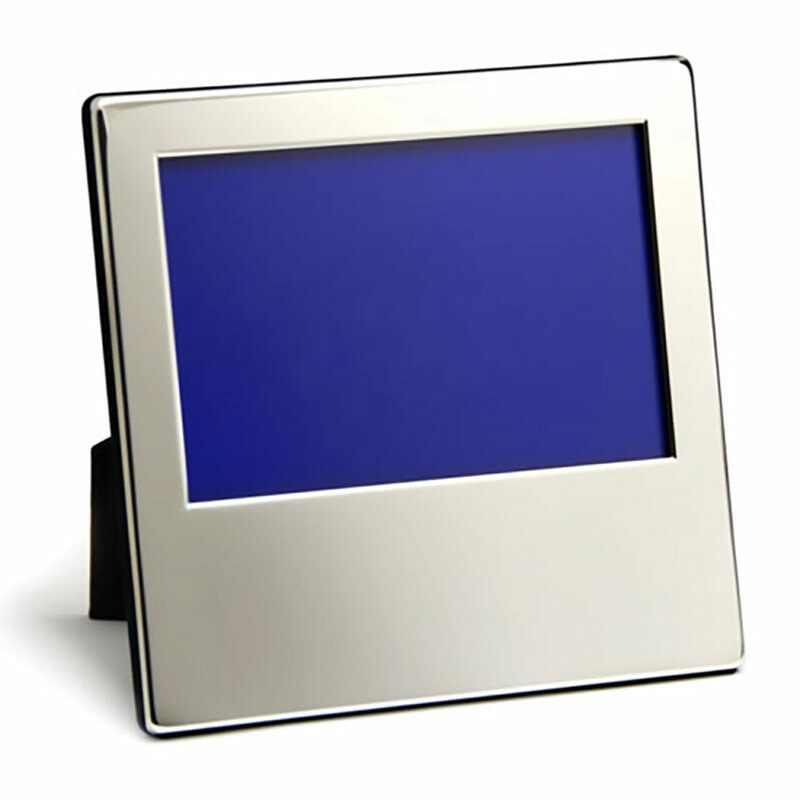 A smooth silver plated picture frame with landscape display and large area suitable for engraving of personalised messages, corporate logos or marketing slogans, event or achievement details, or any other inscription you choose to have engraved. These silver plated landscape photo frames are offered with FREE ENGRAVING and fixed price delivery and make practical and stylish corporate gifts or merchandise. To fit picture size 6in x 4in.